I'm not talking pool balls or your neighbor's recently augmented breasts... a fully equipped and stocked wine rack is a basic ingredient for every budding wine enthusiast. But with virtually unlimited choices, filling a 10- or 12-bottle countertop accoutrement can be challenging at best, intimidating at worst. Even so, it pays to be prepared. Will the comely, cosmetically enhanced neighbor appear unexpectedly? Will gluttonous friends descend uninvited? Or maybe a liquid side dish for pizza is what you need. 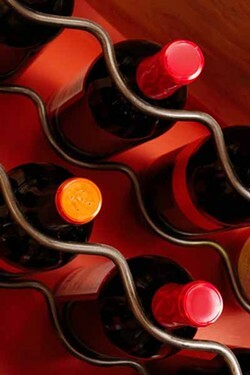 Rack slot decision depends on your lifestyle and finding your best wine options. Does your daily menu involve Chinese takeout or a pie with extra pepperoni and cheese? 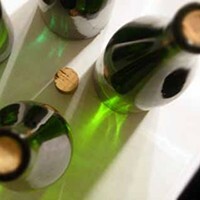 Drinkable selections with most food include fragrant and friendly riesling from Germany or crisp, un-oaked chardonnay. Prefer red? 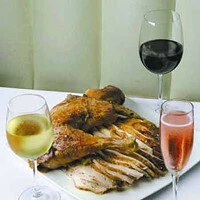 Stock up with something light and fruity like an inexpensive French Beaujolais or Italian Chianti. If you've a penchant for piquant, keep a supply of softer, more aromatic grapes that stand up to spice: Gewurztraminer or soft, flowery California viognier. But maybe you hanker for something hunkier, like full-bodied zinfandel or bone-dry red Bordeaux. You can never go wrong with gutsy flavor. For unannounced guests (that you feel guilty kicking out), you'll need a variety of bottles on hand. And possibly a bigger wine rack. The following selections will satisfy the most discriminate moocher: soft or tart sauvignon blanc, buttery California chardonnay, Oregon pinot noir, red zinfandel (under 14-percent alcohol, so they don't crash for the night), Australian shiraz, Napa or Sonoma Valley cabernet, Argentine malbec, Méthode Champenoise sparkling wine (bonus: real Champagne impresses), and - my favorite - dry rosé. But say you're looking to impress a date or a boss or wine-snob friends or your collector dad, you'll want to stock the latest and greatest in obscure wines. 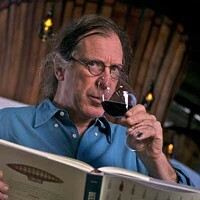 Randall Grahm - eccentric winemaker, owner of Bonny Doon Vineyards and embracer of all things out-of-the-mainstream - recommends these tried-and-true-yet-sure-to-surprise varietals: Austrian gruner veltliner, Italian nebbiolo, cabernet franc from anywhere, Spanish albariño, Italian barbera, and French red Burgundy. I would add Spanish tempranillo and grenache blends, any zinfandel from Ridge Vineyards and French Chablis. All told, though, most of us just want a good buzz to forget the boss' crap, collapse on the couch and become one with the remote. Cheap but tasty is what we're after. Although most varietals have some rare inexpensive exceptions, there are some grapes you don't want to cheapify (pay less than $12 bucks): chardonnay, Chianti and pinot noir. To maximize the dollar, stick with varietals that can be produced in cost-saving, bulk quantities yet still provide palate pleasure: Zinfandel, cabernet (Chile, Australia, California), sauvignon blanc, Italian pinot grigio or Prosecco, California merlot, petite sirah and Washington State riesling. With a sea of choices, enjoying the spoils will certainly be the best part of crafting the rack, but a local wine shop's priceless advice can help steer you towards vinous happiness. The rest is up to you and your friends. Dry Creek Vineyards 2007 Sauvignon Blanc (California) Also labeled Fume Blanc, it denotes the same grape. More elegant and supple than many of its brethren, this sauvignon blanc refreshingly lacks the grassy, saliva-producing tartness of others. I could drink this smooth, melon and soft citrus sipper all day long. And have. Mouth-filling gulps of kiwi fruit, lime and nectarine flow into a long-lasting, mellow finish. Good value. Sw=1. $14. 4 1/2 stars. Hullabaloo 2005 Zinfandel Napa (California) Although I admit the inane moniker almost turned me off, the wine's opulence and robustness made up for its lack of maturity. Silky with a jammy raspberry, bittersweet chocolate, rich vanilla, leathery base, followed by earthy tobacco and strong brewed tea. Drank quite well with dinner and by itself. And at monster 15.6 percent alcohol, it gives good buzz for the money. Sw=2. $21. 4 stars. Sweet (SW), Hypersensitive (HS), Sensitive (S) and Tolerant (T). Find out your tasting profile at budometer.com. Reach Taylor at taylor.eason@cln.com, on Twitter @tayloreason and on Facebook.